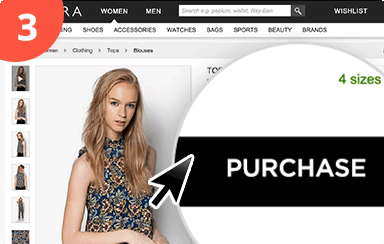 The button that lets you earn Cashback wherever you are shopping online. Available for Google Chrome, Firefox and Safari. For desktops and laptops only. 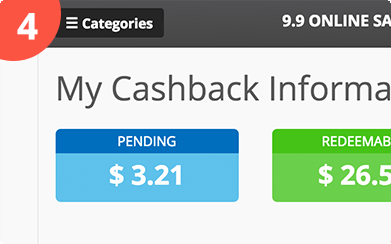 Earn Cashback wherever you are online! 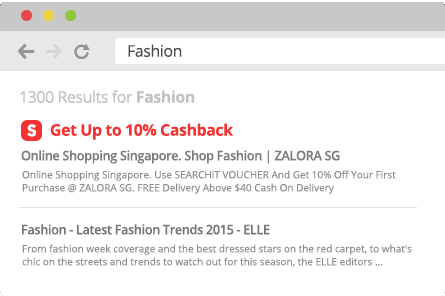 Always get notified when Cashback is available at the store you're browsing on! Get all the best deals in one click! Get all the best discounts, coupons and Cashback for 500+ major online stores within a click! 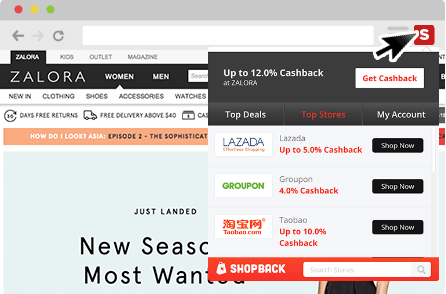 Shop at your favourite store and get notified when Cashback is available via ShopBack. Click on the "Get Cashback" button to activate your Cashback. Browse and purchase at the store as usual. You can withdraw into your Bank or Paypal account once you meet the minimum withdrawal amount of $10.00.